It's Save the Frogs Day today. 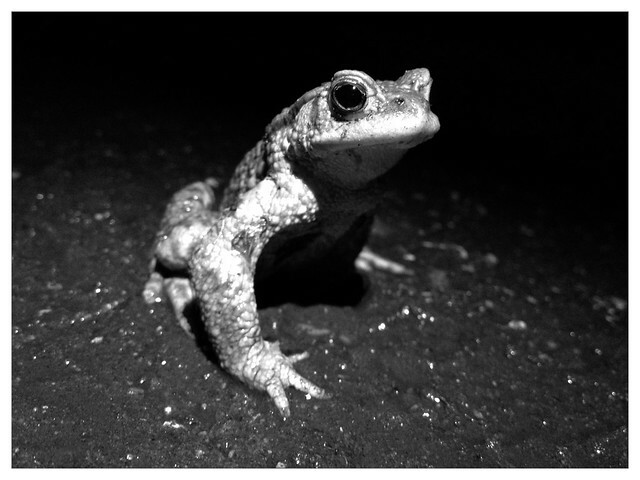 To celebrate, here's a toad I found in my garden the other week, and you can listen to John Shuttleworth's Love The Toad right here! Here's a bird with a little story to tell. 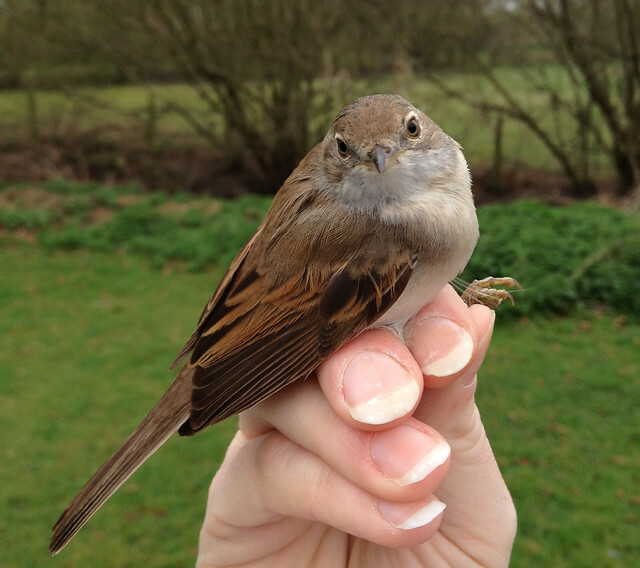 This morning I caught a Whitethroat already wearing a ring (a 'control'). The number looked kind of familiar to me so I asked a few other local ringers if it was 'theirs'. 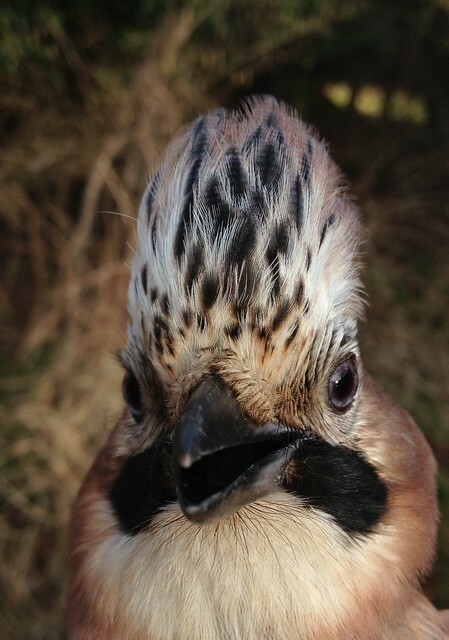 It turned out to have been ringed near Tempsford in Bedfordshire, as a chick in the nest, back in June 2010! When this information is crunched by the BTO, it'll say that the distance travelled between its nest and my place is only about 6km over slightly less than three years. But in reality, it'll have made the journey from Bedfordshire to sub-Saharan Africa once in autumn 2010, then back the other way in spring 2011 and back again, probably the same in 2012 and has made it back again in 2013. So that's six journeys so far. Each time, it has to fatten up before leaving the UK, make its way through western Europe and through north Africa. For argument's sake, let's say it spends winter in the sahel in Senegal. If it flew in a straight line directly there (which of course it won't have), that would be a journey of more than 2,700 miles each time. Multiplied by six, that's 16,200 miles! 26,000km! Finally got round to running my moth trap for the first time this spring. Not a bad haul, of 85+ moths of about 16 species. 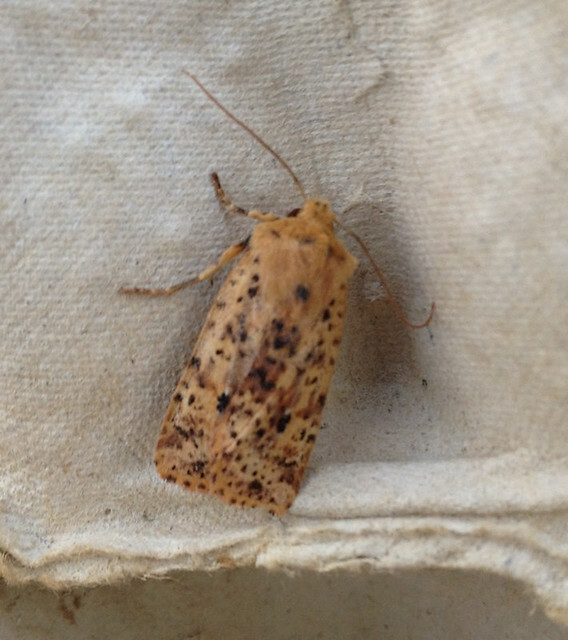 The highlight was this Dotted Chestnut, a new moth for me and one that's described as "extremely rare, extremely local resident" in Bedfordshire, though there have been three other records in the county already this year. 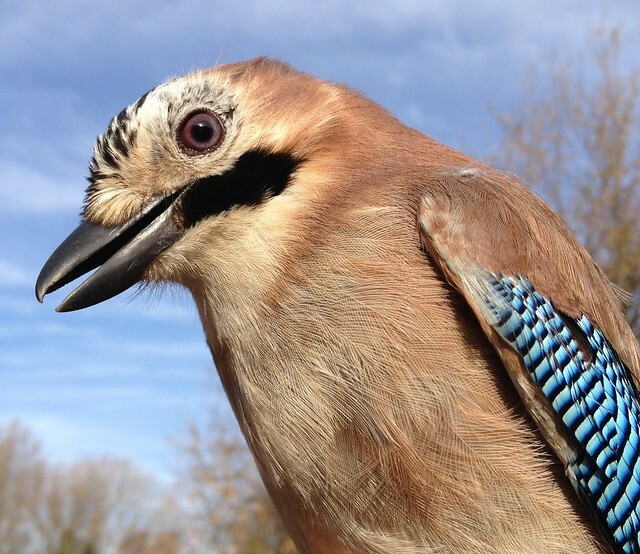 Now seems to be a good time to catch Jays. I've had three so far this year, surpassing last year's total for the whole county! 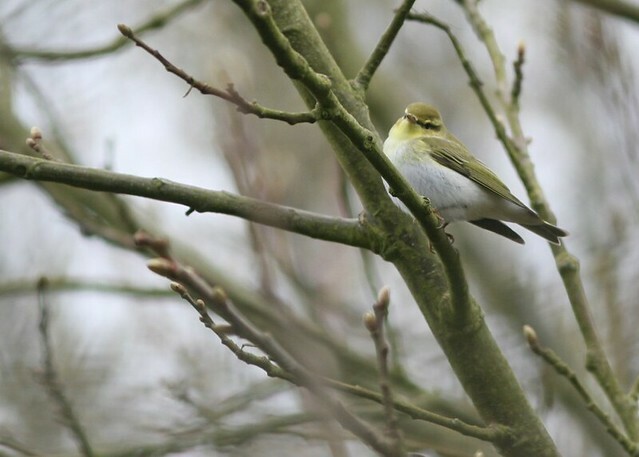 Some people reckon spring is at least three weeks late this year, and there are certainly some interesting combinations of birds around as spring migrants are slow to arrive, and winter visitors not keen to move back north. 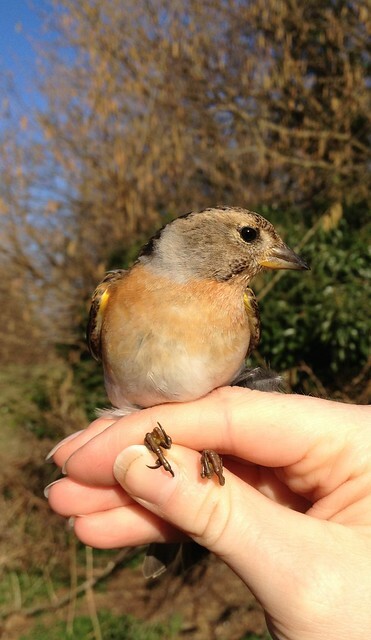 This morning, the first bird out of my net was a female Brambling (below) - a garden ringing tick. 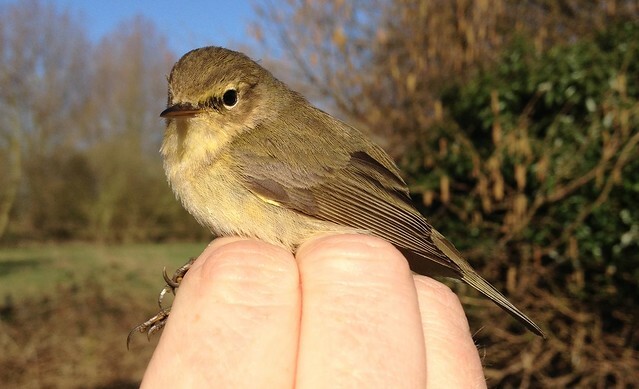 And the second was a Chiffchaff control - that's when a bird has already been ringed by someone else! So it'll be interesting to see where it's been previously. 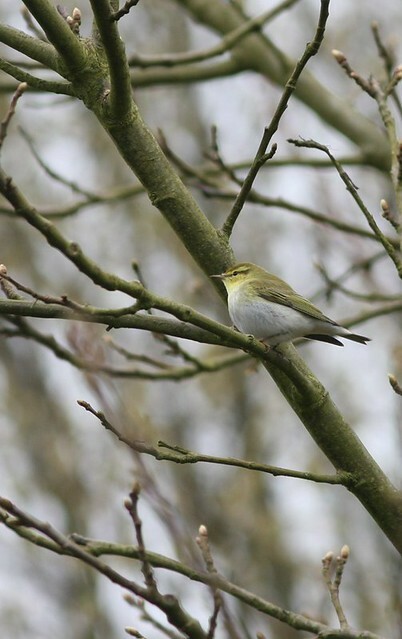 Surely not a Wood Warbler...? I had a bit of a surprise when I stepped outside this morning. 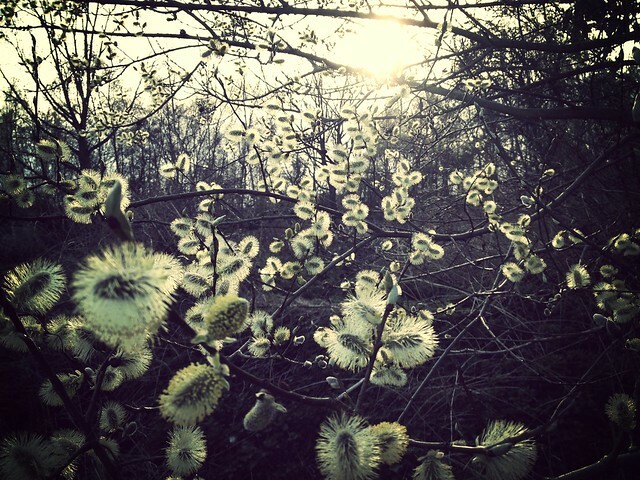 Half-asleep, I heard a trill that sounded suspiciously like a Wood Warbler. After a bit of searching, I finally clapped eyes on the warbler and later in the day managed a few photos. 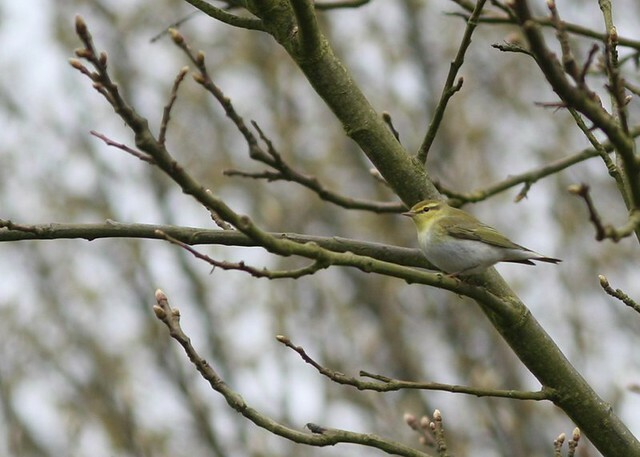 Wood Warblers don't tend to stop on migration - they prefer to just carry on - but it seemed that it was among quite large numbers of warblers which had stopped off that day. 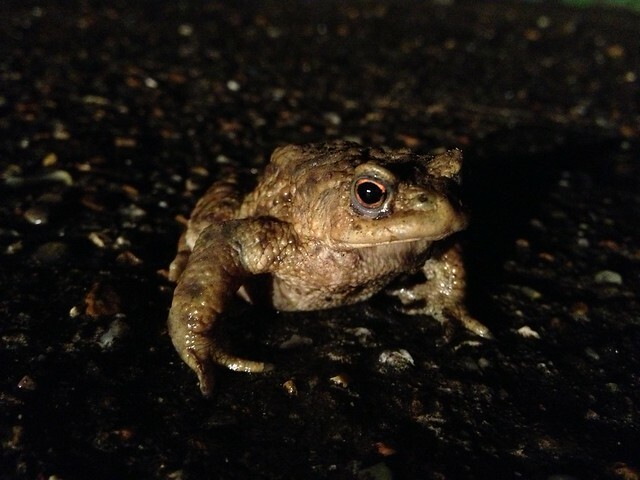 I was driving home from the shops in the dark on a wet Friday night when I first noticed the toads. 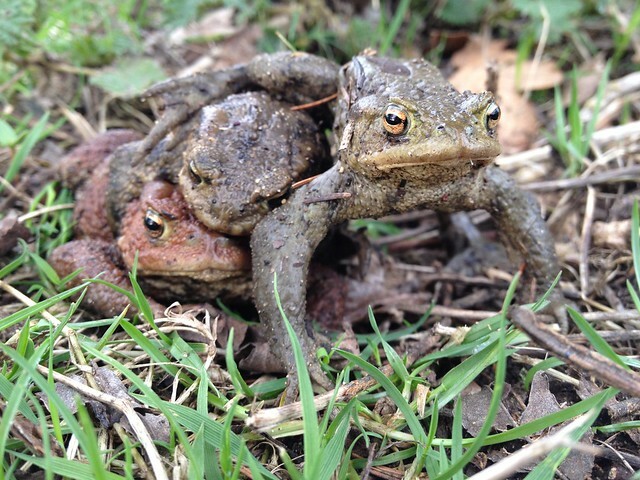 Fortunately, I managed to avoid running them over and watched as they crawled their way towards my pond. Later, I found this amorous couple, plus hanger-on, scrambling through the grass in the morning. 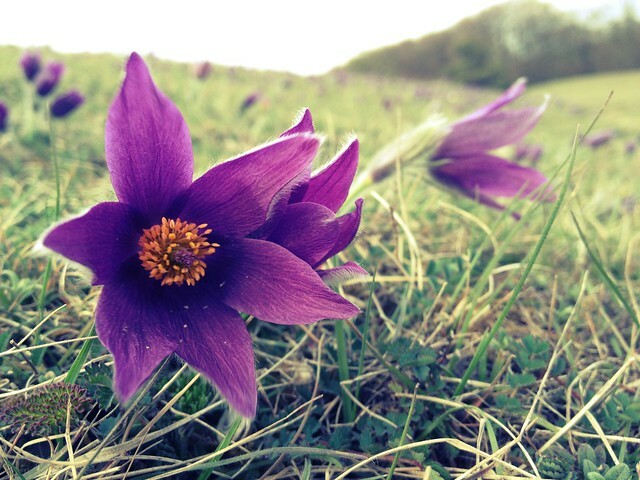 Not bad photos from the phone, with lighting from my head-torch in this case.